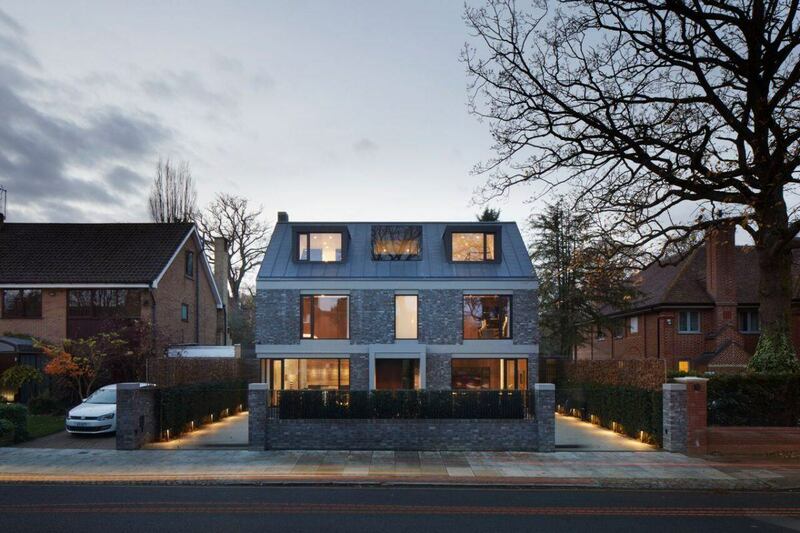 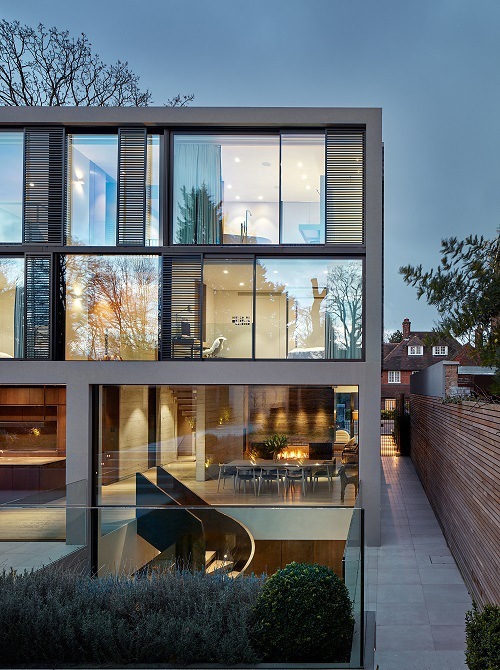 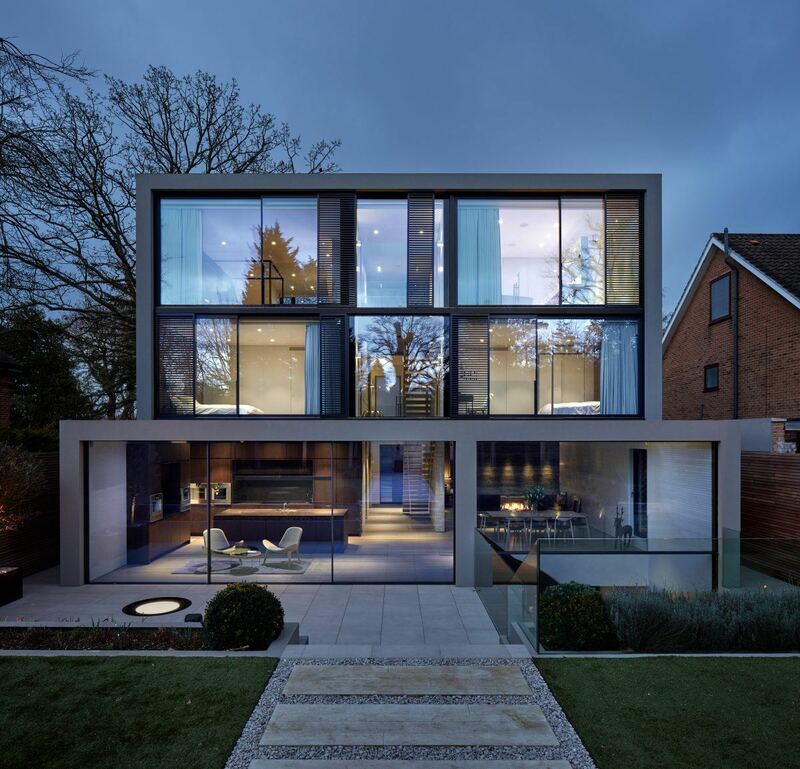 Kenwood Lee House is conceived as a contemporary manifestation of a double fronted suburban villa, with the front façade referencing the predominately brick streetscape with matching eaves, ridges and gables. 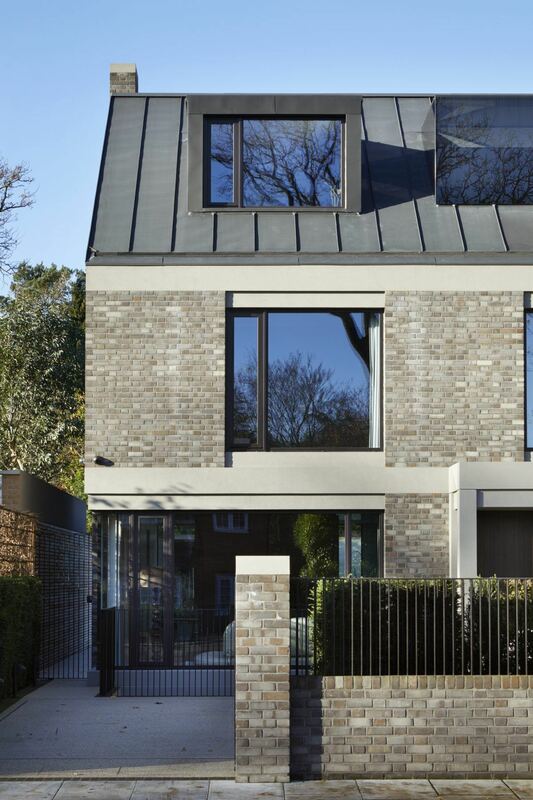 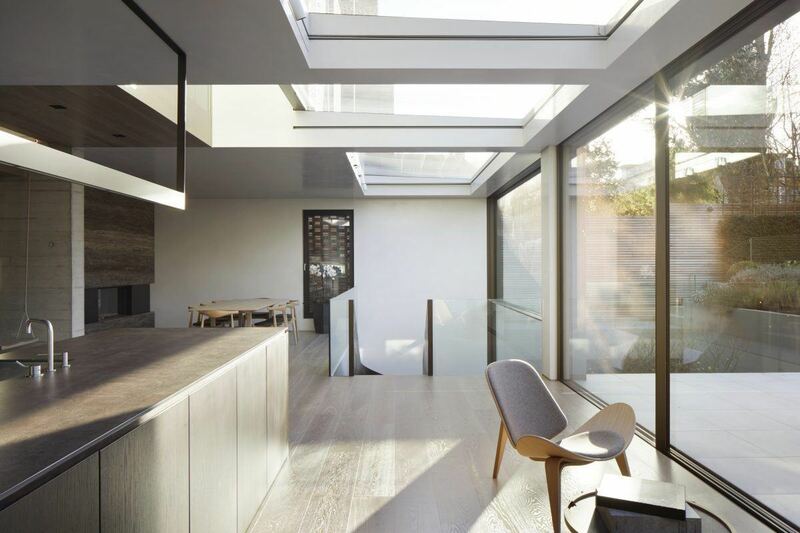 The rear of the property takes the form of a modern full width glazed mansard with pre-patinated zinc cladding to the sides, articulating the juxtaposition with the traditional brickwork gable. 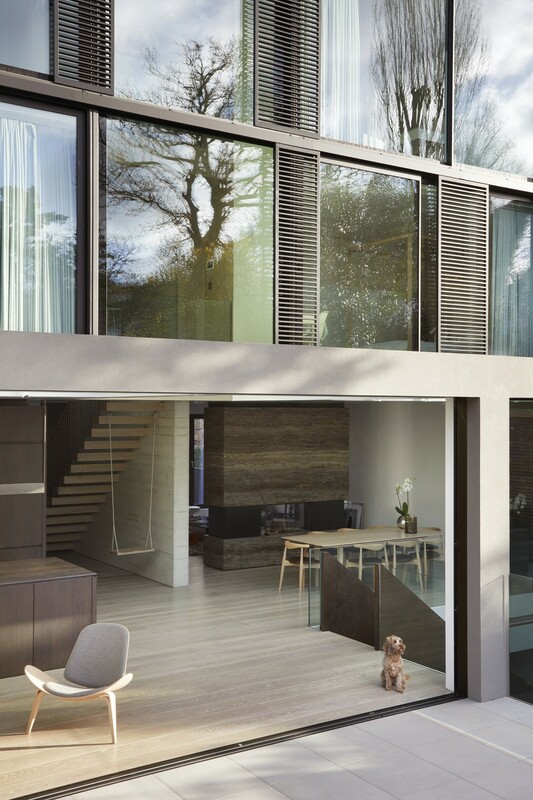 With views out across the garden to the landscape beyond, the partially shaded rear glazed elevation navigates the fine line between openness and privacy. 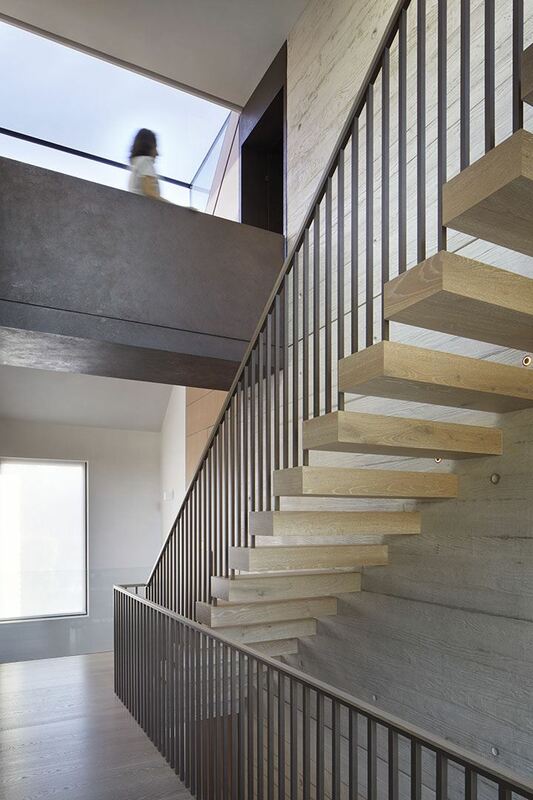 A subtle palette of materials; concrete twinned with brick, timber steel and glass, responds both to the built environment and the natural surroundings. 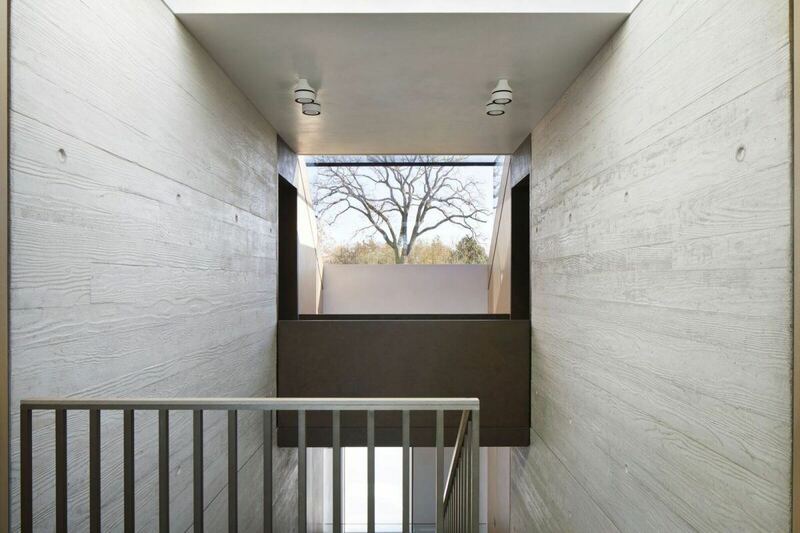 Internal spaces are anchored around a board-marked concrete core which forms a triple-height atrium. 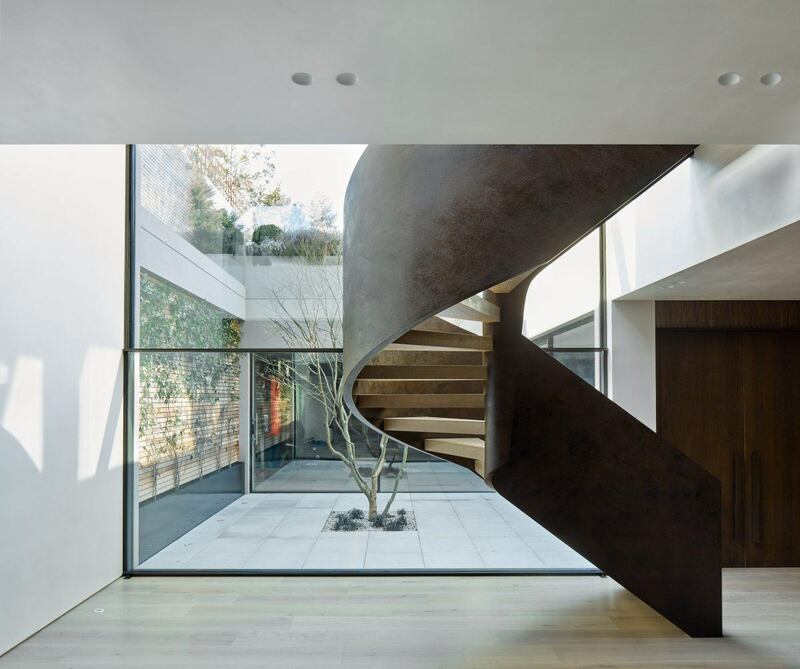 The design plays with scale and form, providing a composed sense of calm throughout. 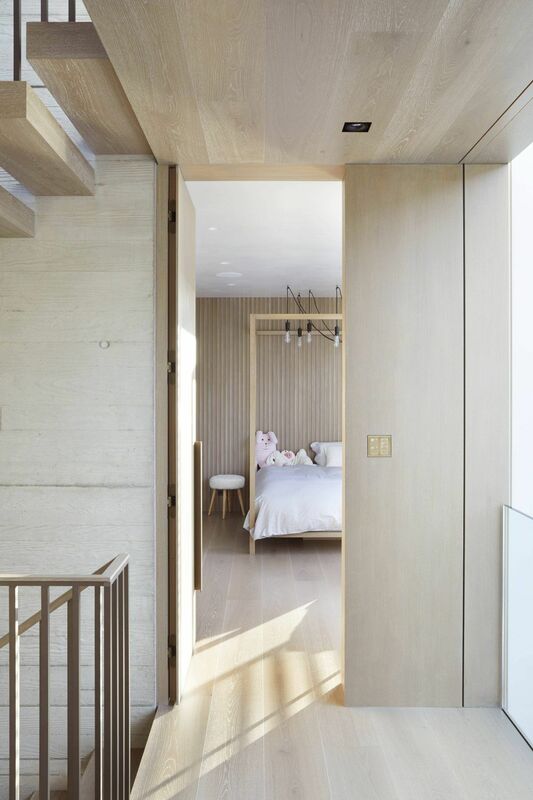 The building takes the occupant on a journey from the minutiae and intimacy of its material detail, through to the generous volumes and light of its circulation spaces. 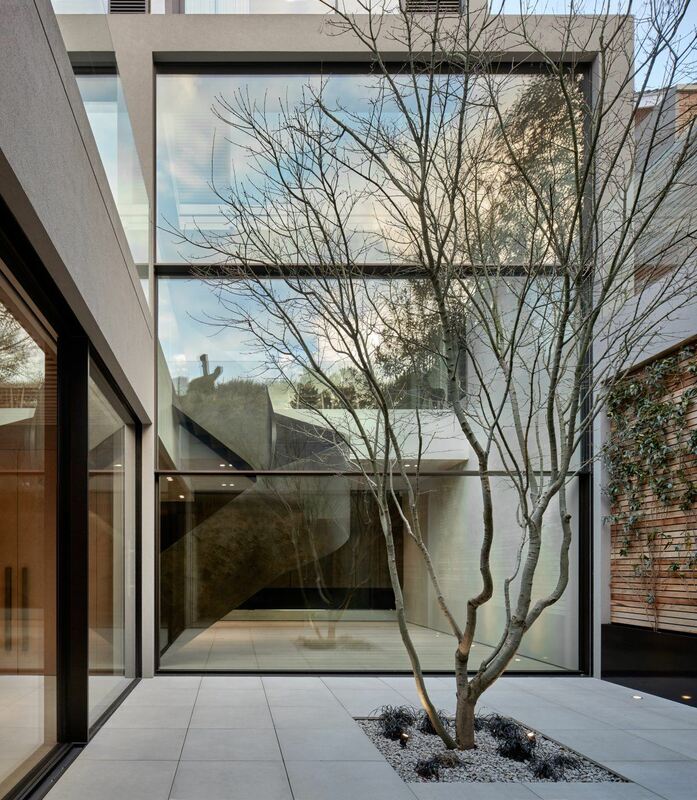 Construction took place over a two year period, and every effort was made to express the value and efficacy of its material form. 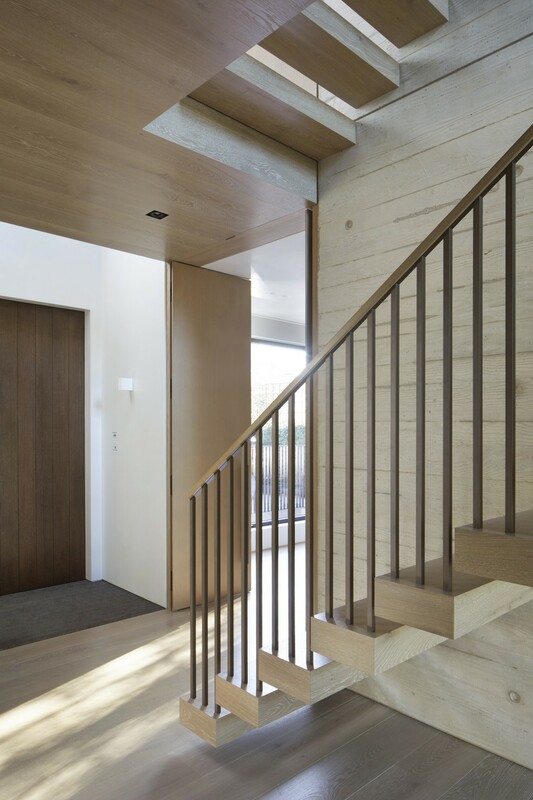 The high quality craftsmanship, meticulous detailing and quality materials combine to create a sense of solidity and longevity.